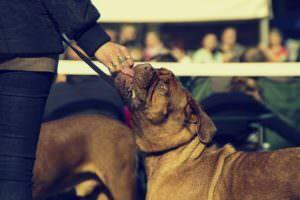 What’s the best way to show your dog how much you care? Of course, you can take them for long walks and give good scratches behind the ears, but one to way to celebrate your four-legged friend is to have a party in their honor. Whether it’s your dog’s birthday or the anniversary of her adoption, you can shower your pup with affection and treats on this day. Host the event like you would any other party: invite guests, offer food and drinks, decorate your home and give away goodies. 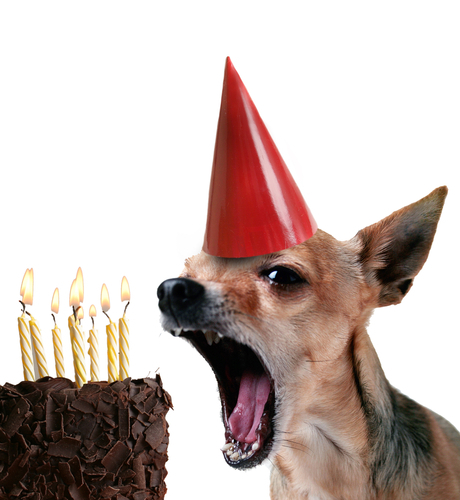 Here are five ways to throw an epic birthday party for your pup. Admit it: part of the reason you’re throwing a birthday party for your pup is the pictures. If you’re going to host a party, do it right. Get this affordable party kit and capture the adorable memories. You can motivate your pup to pose for a picture by holding a treat in the air near the camera to capture their attention. And if you’re going for decorations, why not add a special birthday outfit? Your dog would look very smart in a bowtie. If your pup has the patience, go all out with this birthday crown and matching bandana. Don’t stop with the decor, make a playlist of your dog’s favorite songs (Who Let the Dogs Out, anyone?) or just music that is appropriate for a festive gathering. Don’t only invite your friends and family to celebrate your dog. Invite your pup’s buddies, too! Like any good party host, you must give a goodie bag to all the partying canines. We love the FlossyTossy™ because it cleans a dog’s teeth while your dog plays. Hopefully, this will lead to fewer trips to the doggy dentist for their humans. Another way to thank guests for attending is by giving the dog guests some treats to remember the fun. Get a bag of single-ingredient turkey treats and portion them into small bags to give to the pups’ parents as they depart. Not only will your doggy friends love munching on some after a walk or their midday snooze, but this gift feeds seven shelter dogs. Your puppy pals will thank you, and somewhere seven dogs in need will have a full belly thanks to your generosity. And if you really want to go above and beyond, get giveaways for the humans, too. Give an environmentally friendly and hydration positive gift with these fun dog-themed water bottles. Each purchase feeds 5 shelter dogs. 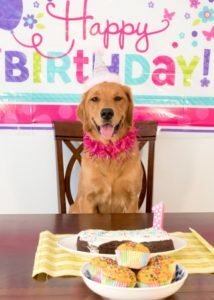 Play it safe and give your dog the cake without candles. For the humans attending the party, call a local bakery and order some paw-print cookies. Don’t serve a fruit platter with grapes or offer chocolate cookies because the pups may get jealous. Get some cheese cubes and cured meats because no dogs will be harmed if they accidentally eat a bite or two that’s fallen on the ground. After you’ve planned a menu for the human guests, it’s time to think about the dogs. There are inexpensive dog-friendly cake mixes that you can make at home. Your dog and her puppy pals will love scarfing down a cake just for them. Pop quiz: what does your dog spend most of the day doing? Answer: sleeping. Give your best friend the gift of a luxurious place to dream. A snuggly fleece blanket will keep them warm in the winter months and when the air conditioning is blasting in the summer. With each purchase, one fleece blanket will be donated to a shelter dog. Or elevate your pup’s sleeping experience with a memory foam bed. If orthopedic foam layers are good enough for your mattress, they’re good enough for your pup. These beds are especially recommended for senior dogs to ease joint discomfort. Best of all, they’re easy to clean. 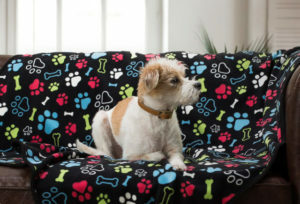 Even better, one fleece blanket will be donated to a shelter dog with your purchase. We know dogs are food motivated, so cater to one of their primal needs with new treats. Since your dog will indulge in a special birthday cake at your party, you can save this gift for a few days or weeks ahead to continuously remind your dog how much you adore him. Purchase a bag of these Bully Bubbles. Like the turkey treats you bought for a giveaway, these Bully Bubbles feed 7 shelter dogs. 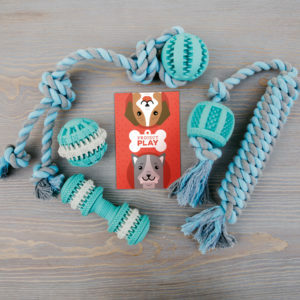 This gift for your dog is a gift for others, too. If your dog isn’t a fan of Bully treats, they may prefer one of these long-lasting Mini Golden Yak Chews. And you guessed it, this purchase feeds 7 shelter dogs, as well. Either way, keep the celebration going with new treats for weeks to come. The party is over. Your dog is in a blissful cake-coma. It’s time to reflect. If you followed the steps above, you probably had a pretty epic party. A few takeaways: some of your guests may have given your dog a birthday gift. Don’t forget to say thanks with a note. You can purchase dog thank you cards and send them in the mail (what a novel idea!). And now for the most important question: did you remember to take pictures?